The Chocolate Mod’s developer: “OhItsDeadpool”, describes the mod as a client-side update to vanilla Minecraft. The mod adds loads of new features many of which are based around one thing, Block Bounds. 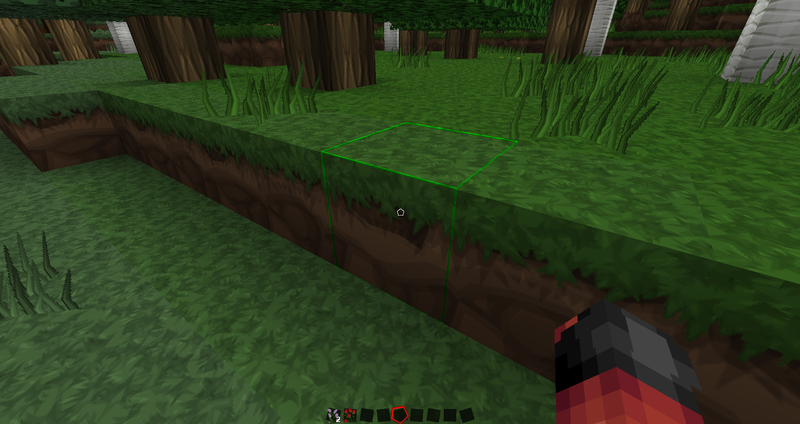 Block Bounds are those things surrounding a block that shows when you are hovering over it (a faint line in other words.) With this mod you can now customize those bounds, in-game you can use key binds to change the color right in front of you. The mod is available for the latest update of Minecraft 1.8 but also works with earlier versions. To use the mod, you first of all need to install the mod with the help of Chocolate Mod. Then you can simply load up your latest Minecraft game and enjoy its features automatically. The Chocolate Mod makes some changes related to block bounds. Choose from the colour of the block bound, to how thick the line is and how much it stands out. Also adds in fading bounds and additional information when hovering over some items.